Dimensions 0.23 by 5.06 by 7.81 in. In this follow-up to Ã¢ÂÂFerien in FrankfurtÃ¢ÂÂ, Dino finds himself in Cologne, the carnival capital of Germany and home of the Cologne Cathedral. Struggling with tacky accommodations and an empty wallet, he stumbles over a gig which promises to be a walk down easy street. But before he knows it, the carnival begins and heÃ¢ÂÂs faced with an onslaught of bewildering customs, an inebriated four-legged friend and sudden downpours of candy. Explore CologneÃ¢ÂÂs colorful carnival tradition, learn about local sights and sounds, and improve your German effortlessly along the way! 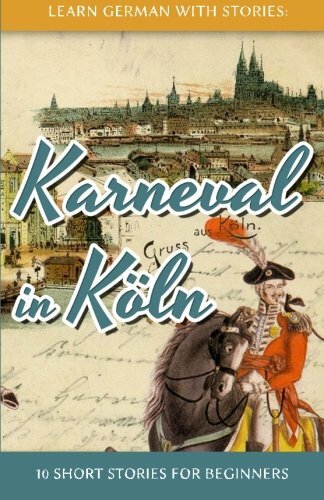 About: In this follow-up to âFerien in Frankfurtâ, Dino finds himself in Cologne, the carnival capital of Germany and home of the Cologne Cathedral.